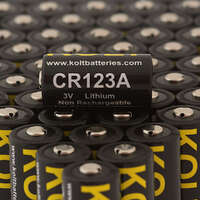 CR123A Kolt Battery in an 8 X CR123A battery pack for all your disposable 3 Volt CR123A lithium ion battery needs. 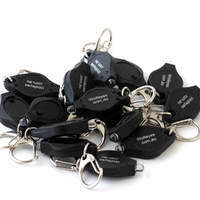 These CR123A batteries work in cameras, rangefinders, communications gear, flashlights, friend or foe lights, torches or any device which requires 3 Volt CR123A batteries. Of course these CR123A batteries work well in headlamps & torches! 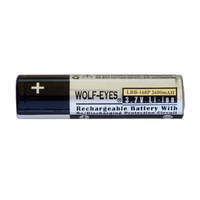 Before rechargeable batteries came to the fore, most tactical torches used the CR123a battery as it has long shelf life and high specific power output, while being relatively readily available - it was also a favourite of various cameras. 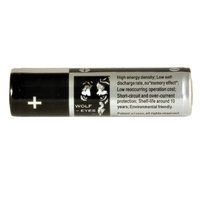 Two of the Kolt CR123A lithium batteries can be used instead of one of the rechargeable Wolf Eyes LRB168A or LRB168P batteries in our Wolf Eyes LED Torches or Wolf Eyes LED Headlamps. 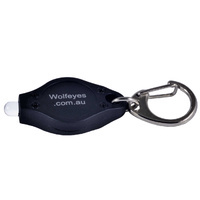 These torches and headlamps have been designed to accept the wider voltage range and so will work with either one of our LRB168A batteries or two CR123A disposable single use batteries. Great value in this CR123A 8 battery pack, but we also have a 40 CR123A pack and a bulk 100 CR123A pack for those heavy CR123A battery users. 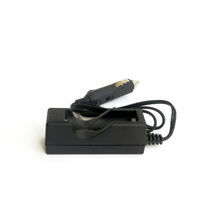 For the very heavy battery users we have a one thousand battery pack - bulk CR123A 1,000 batteries. The battery is marked extremely logically with red for positive and black for negative, so no mistakes by any member of your team. 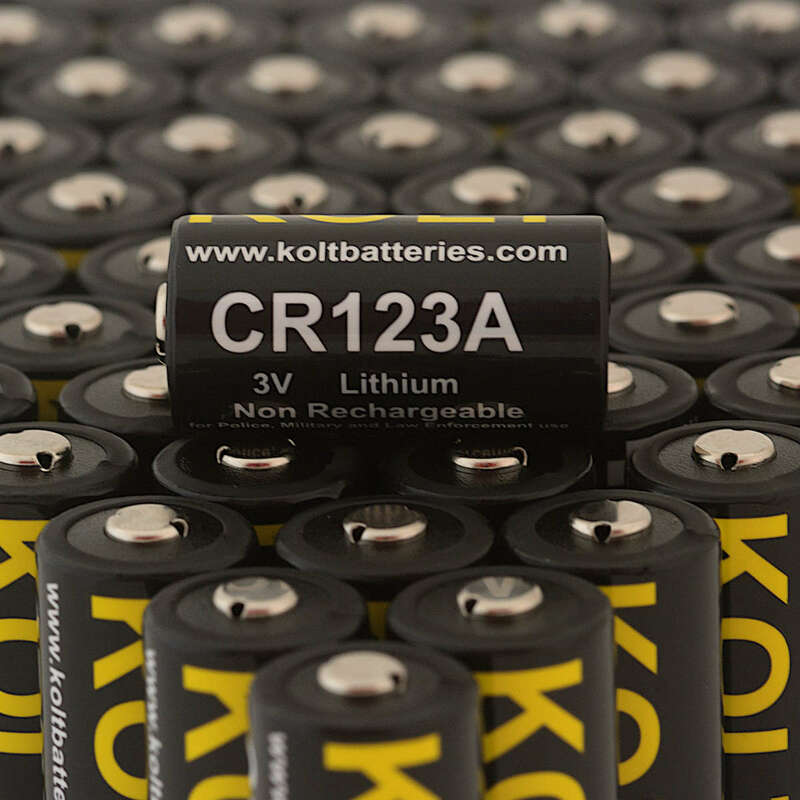 A well priced CR123A battery compared to the double digit prices asked at the large supermarket chains for CR123A lithium ion batteries. 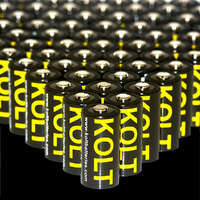 These are guaranteed GENUINE KOLT CR123A lithium Ion batteries. CR123A lithium ion batteries are also variously known as 123 batteries, CR123 batteries, 2/3A battery, CR17345 battery, 5018LC battery or 6135-99-851-1379 (NSN – Nato Stock Number), panasonic cr123a batteries, 3 volt cr123a batteries, power one cr123a battery, energizer lithium cr123a 3V batteries, streamlight cr123a, cr123a industrial lithium, cr123a arlo, duracell cr123a and various other names . 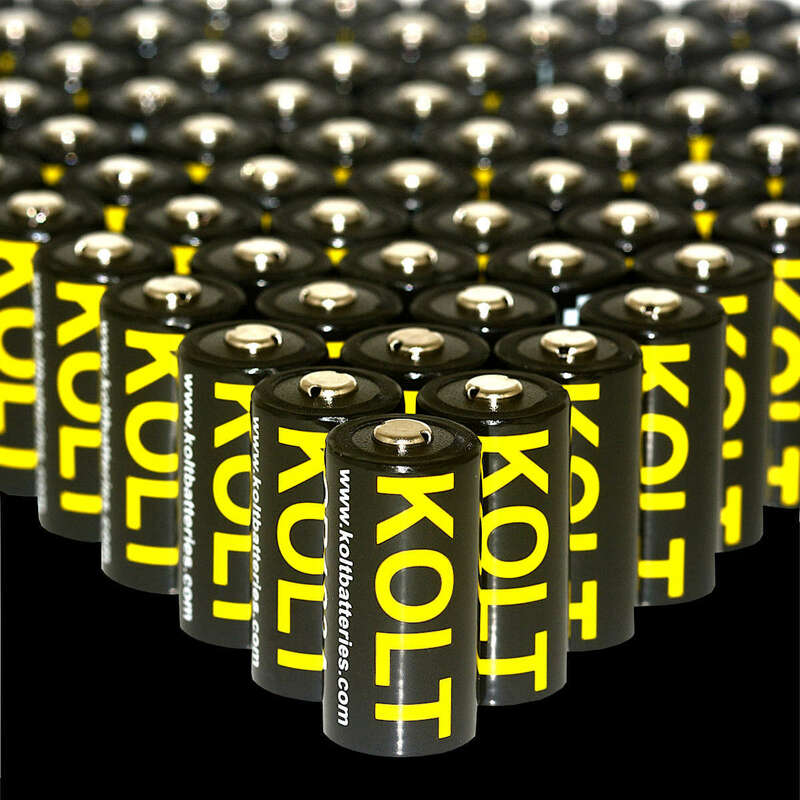 3 Volt CR123A lithium ion batteries are nominally 34.5mm in length and 17mm in diameter. Please be aware there is a difference between CR123A lithium ion batteries which are 3 Volt and rechargable CR123A batteries (often called RCR123A batteries) which are 3.7 Volt. Not all CR123A devices can accept both, most cannot, so check with your CR123A device manufacturer. This is especially important in devices utilising more than one battery, as two CR123A batteries are 6V (and 3 CR123A are 9V) where 2 RCR123A batteries are at least 7.4V freshly charged and 3 RCR123A are at least 11.1V, potentially up to 12.6V. As you can see quite easy to be way over voltage for a device designed for what is essentially a different battery, even though it is the same size. 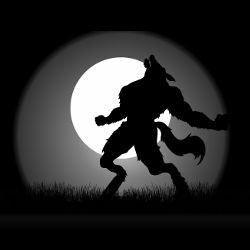 For the record, Wolf Eyes LED torches and LED headlamps do have the capability to utilise CR123A batteries, but other torches and headlamps may not. 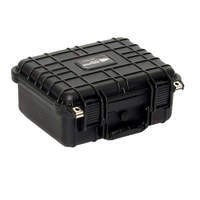 Flashes, camera gear, rangefinders, comms gear especially should be checked with the manufacturer as the wrong battery can cause enough damage that the unit may not be worth repairing - frightening in gear which may cost a few thousand dollars..
Guaranteed Genuine KOLT CR123A Batteries! These were recommended to me are everything as described. Work well, well priced and shipped same morning ordered. They're batteries. They work. In our dental lights seem to last as long as the bigger brands but these were the cheapest price I could find in Australia. 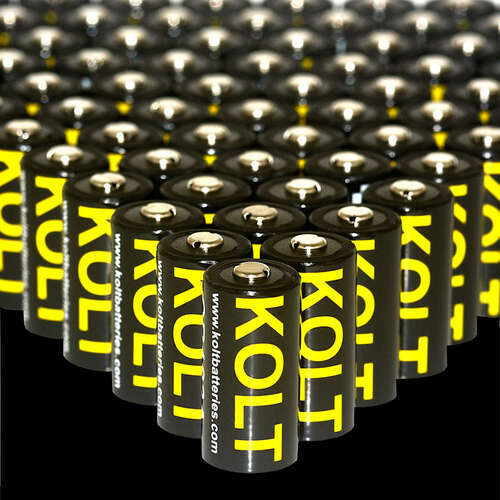 What more can you about a battery? Nice colours?